This category is split into 31 pages. This is page 23. 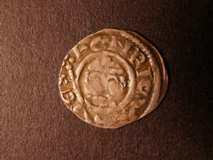 842 Penny Henry III long cross class IIIc, moneyer Nicole on London. Very fine. 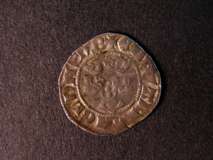 844 Penny Henry III long cross, class IIIc, moneyer Nicole on London. Very fine. 847 Penny Henry III short cross, class 7b, moneyer Terri on London. S.1356B. About very fine. 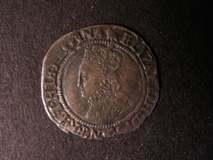 848 Penny Henry VIII, posthumous issue. Three quarter bust, no mint mark. S.2418. Fine, portrait better. 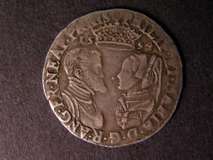 849 Penny Philip and Mary base silver issue, rose. R. shield. S.2510A. About fine. 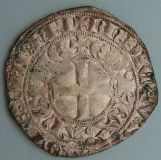 853 Penny William I sword type, moneyer Leofwold on Winchester. S.1255. Good very fine, but the coin has perforated around inner circle and on the left of bust from striking. 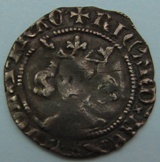 854 Penny, William II silver Penny (1087-1100), cross pattée and fleury type. Moneyer uncertain, but starts "Aeg..". London mint. North 855. S.1261. Good fine for issue with large flan and flat spots on both sides. 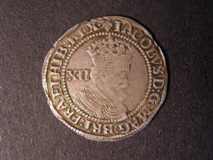 857 Quarter Noble Edward III, transitional treaty period. S.1501. Good fine, full flan with a few scrapes on the edge. 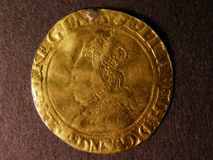 868 Shilling Edward VI 1549 mm. arrow, Fine for issue. 871 Shilling Elizabeth I milled issue, intermediate size 31 mms, decorated dress. S.2591. Very fine/good very fine. 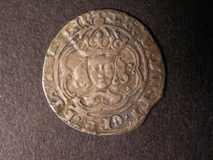 881 Sixpence 1569 Elizabeth I, mint mark coronet. About very fine. 882 Sixpence 1572 Elizabeth I mint mark Ermine. About very fine. 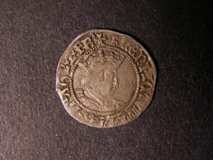 883 Sixpence 1575 Elizabeth I mint mark Eglantine. Very fine, dark tone. 1204 Anglo-Gallic. Edward II (1307-27) silver Maille Blanche Hibernie. Cross pattee. R. Aquitanian castle. Elias 32. Very fine. 1205 Anglo-Gallic. Edward III billon Denier Au Leopard 2nd type. Rosette below leopard. Elias 95. Good fine. 1206 Anglo-Gallic. 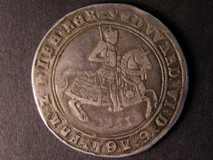 Edward the Black Prince (1362-76) silver Demi-Gros 2nd issue, Poiters mint. Elias 180. About fine. 1207 Anglo-Gallic. 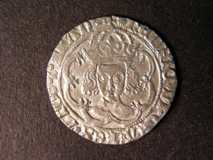 Henry V base silver Niquet (1421), leopard passant. R. cross pattée. Saint-Lo mint. Good fine/almost very fine. 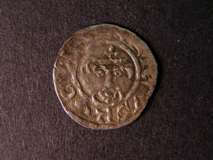 1209 Anglo-Saxon silver Sceat circa 680-710, series F. Helmeted bust right. R. small cross on steps. S.781. Very fine. 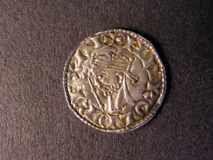 1210 Anglo-Saxon silver Sceat circa 710-760, series K, type 32a. Bust right with cross. R. coiled wolf headed serpent. S.797. Fine. 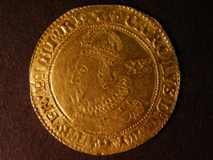 1211 Charles I Halfcrowns (5), includes S.2776,2775,2773. Some with dark deposits, average fine. 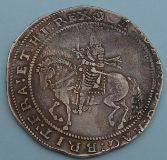 1217 Crown Charles I Truro mint, 1642-3, mint mark rose. S.3045. Slightly weak on kings head otherwise about very fine. 1220 Edward I Pennies (2) class 1a and 1c. Both London. Good fine to very fine. 1st rare. 1222 Elizabeth I silver Shillings (9), mint marks include; escallop, cross crosslet, crescent, bell. Fair to fine. 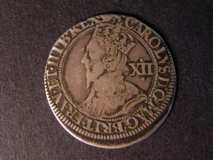 1223 Elizabeth I silver Sixpences (14). Dates include 1561,68,69,72,74,75,78,83,92 and 94. Fair to good fine. 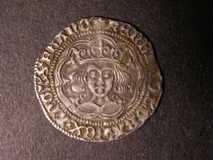 1225 Groat Edward IV 2nd reign (1471-83) London, rose on breast, mint mark Heraldic Cinquefoil. S.2100. Very fine, slightly clipped. 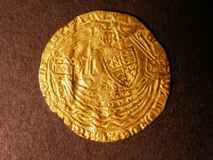 1232 Half Noble Edward III treaty period 1361-69. S. 1507. Good fine, slight crease mark. 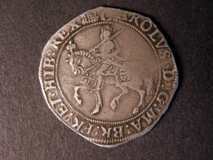 1236 Halfgroat Henry VI Pinecone-Mascle issue 1431-32, London mint. S.1876. Very fine, slightly clipped on bottom edge. 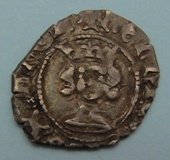 1238 Halfpenny Henry IV heavy coinage, early small bust. S.1723. Almost very fine with clear kings name. Rare. 1239 Hammered (10). Mixed lot, includes Richard I Penny, Henry III Penny, Edward I Penny, Henry VI Half-groat. Irish cut ?-penny of Henry III. Fair to fine. 1241 Hammered Edward I and II Pennies (12). Mints include Bristol and Berwick on Tweed. All fine to very fine. 1245 Hammered. Mixed lot, includes Henry III short cross, Edward I Farthings, Elizabeth I Half-Groats, Edward III Half-pennies and Farthing (17). Average fine. 1246 Henry I Penny class 15. Quadrilateral on cross Fleury type. S.1276. Fair with a split flan. Together with a Stephen cut Half-Penny, Watford type. Fine. 1249 Henry VIII and VII Half-Groats, Pennies and Half-pennies (5). All about fine. 1250 James I Half-Groats and Pennies 1st-3rd coinages (4). Fine to very fine. 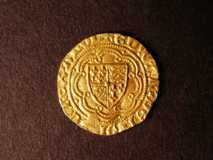 1251 James I shillings (5), mint marks include rose, lis, mullet and escallop. Very good to fine. 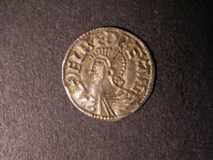 1253 Penny Aethelred II long cross type. Moneyer Dreng on Lincoln. S.1151. Good fine with a few peck marks and a small split in centre. 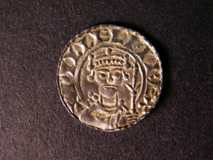 1254 Penny Aethelred II long cross type. 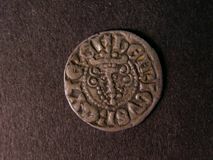 Moneyer Eadwine on Cambridge, S.1151. Very fine. 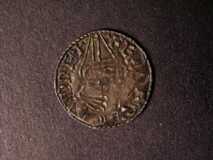 1255 Penny Aethelred II long cross type. Moneyer Osulf on London. S.1151. Very fine. 1258 Penny Aethelstan (924-939) circumscription cross/rosette type "Aethelstan rex to brit", small cross pattée. R. rosette. 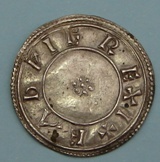 Moneyer Cenapa on legecf (Chester mint). North 681. S.1099. Fine, a few surface cracks on obverse, uneven flan. 1259 Penny Aethelstan (924-939) small cross pattée. R. Moneyers name in two lines divided by three crosses, above and below name, a trefoil. 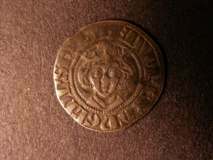 Moneyer Athelulf. Fine with cracks and badly chipped to the inner circle on one side. 1261 Penny Eadgar (959-975) Circumscription rosette type. Rosette of pellets on both sides. 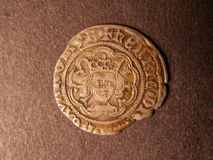 R. Gunar in Deorbi, unrecorded Moneyer, Derby mint. North 759. S.1137. Very fine, a few spots of verdigris. 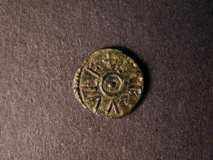 1262 Penny Eadgar (959-975) Circumscription rosette type. Rosette of pellets on both sides. R. Moneyer Amynd. North 758. S.1136. Wavy flan, otherwise very fine. 1263 Penny Eadgar (959-975) small cross pattée. R. Moneyers name in two lines divided by three crosses, above and below a trefoil. 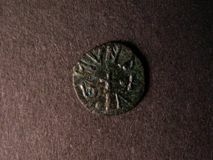 Moneyer Aethel. S.1129. Wavy flan, otherwise very fine. 1264 Penny Eadgar (959-975) small cross pattée. R. Moneyers name in two lines divided by three crosses, above and below a trefoil. 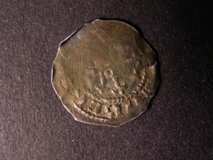 Moneyer Ive. North 741. S.1129. Very fine, with verdigris on obverse. 1265 Penny Eadmund (939-946) small cross pattée. R. Moneyers name in two lines divided by three crosses, above and below a trefoil. Moneyer Ingelgar. Good fine, but chipped around edge and dark staining on reverse. 1266 Penny Eadred (946-955) small cross pattée. R. Moneyers name in two lines divided by three crosses, above and below a trefoil. Moneyer Siefereth. North 706. S.1113. Wavy flan, otherwise about very fine. 1267 Penny Eadred (946-955) small cross pattée. R. Moneyers name in two lines divided by three crosses and two pellets, above and below name, a trefoil. 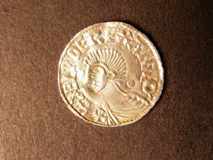 Moneyer Abunelf. S.1113. About very fine, with surface crack visible on obverse. 1268 Penny Eadred (946-955) small cross pattée. R. Moneyers name in two lines divided by three crosses, above and below a rosette. Moneyer Dune, North Western type. North 707. S.1113. About very fine, with slightly uneven flan. 1270 Penny Eadred (946-955) small cross pattée. R. Moneyers name in two lines divided by three crosses, above and below a trefoil. 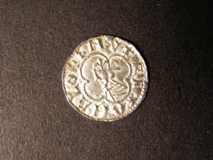 Moneyer Aethelmund. S 1113. Fine/good fine, small chip on edge. 1271 Penny Eadred (946-955) small cross pattée. R. Moneyers name in two lines divided by three crosses, above and below name a trefoil and two pellets. 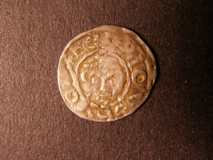 Moneyer Aelfred. S.1113. Good fine, slightly uneven flan and crack on inner circle..
1280 Penny Henry II class 1c. Moneyer Davi on London. S.1345. About very fine, off centre on obverse. 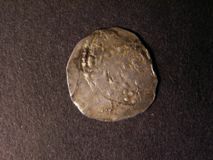 1281 Penny Henry II class 1c. Moneyer Raul on London. S.1346. Good fine. 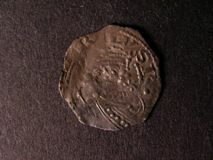 1289 Penny Richard I class 3. Moneyer Willelm on London. S.1347. About very fine. 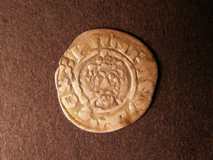 1294 Penny Richard II class II, London mint. S.1688. About fine. 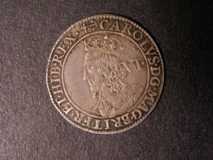 1301 Shilling Charles II hammered 3rd issue mint mark crown both sides. S.3322. Very good. 1317 Sixpences (6) James I and Charles I, includes briot 2nd milled issue mint mark anchor. Very good to good fine. 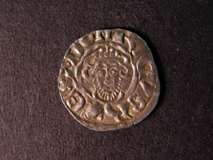 117 Edward I Pennies (5). London and Berwick on Tweed mints. Fine to very fine. 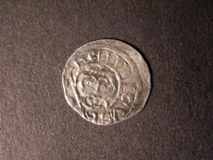 118 Edward I Penny. Berwick on Tweed mint. About very fine. 122 Edward III Groats (4). Pre treaty, London series D, Series E, Series F and Series G. Average fine. 125 Edward I-II pennies of Berwick on Tweed mint (9). Different classes. All fine to very fine.